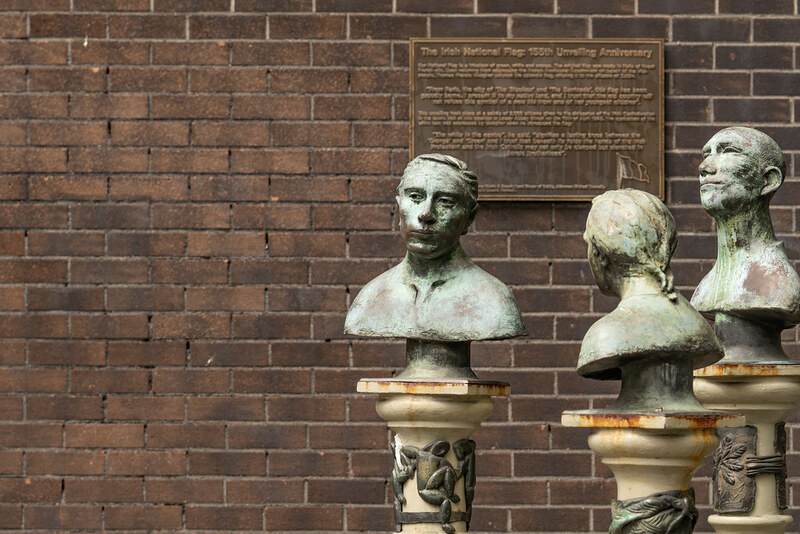 This is the first time that I have managed to include the sculptures and the unrelated plaque in the same image. 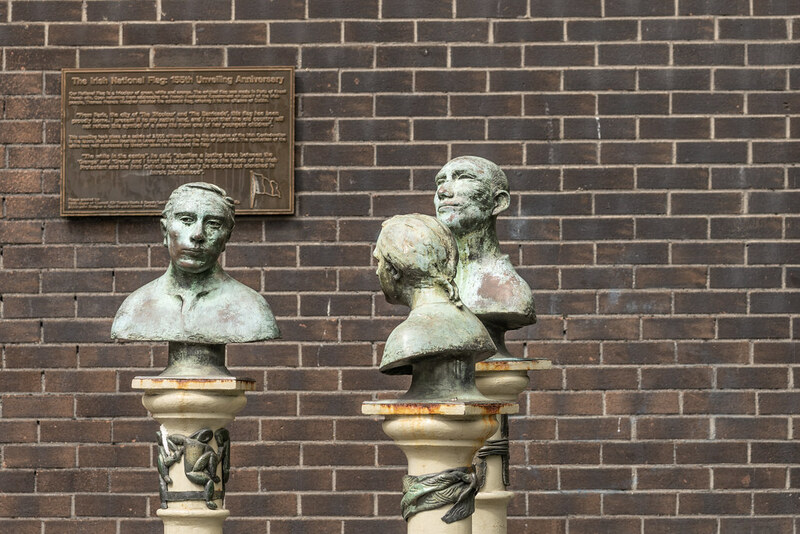 It took me a long time to find any information relating to these three heads located on Lower Abbey Street. Almost three years ago I discovered that the art installation is known as “Talking Heads” and the artist is Carolyn Mulholland. On the wall beside the Talking Heads is a plaque which states that the unveiling of the national flag took place in the music hall at this location on Lower Abbey street on 15th April 1858.